The Jarvis Model SPC 165J – pneumatically powered jowl saw. 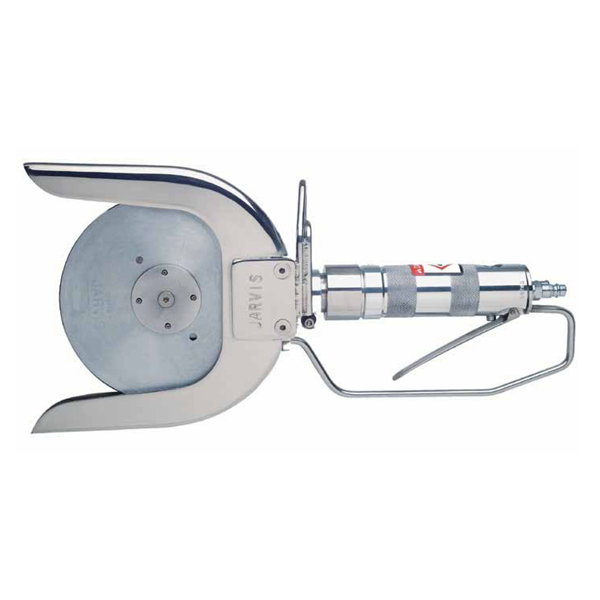 • The SPC 165J is ideally suited for cutting hog jowls. • Capable of handling 1200 hogs per hour. • Rear end exhaust and constructed from corrosion resistant materials for optimum hygiene. • Meets national and international requirements for hygiene.